Been to Nandi hills many times. But each time it gives me something new. Here are pics from my recent visit. This small room is both post office and police station. 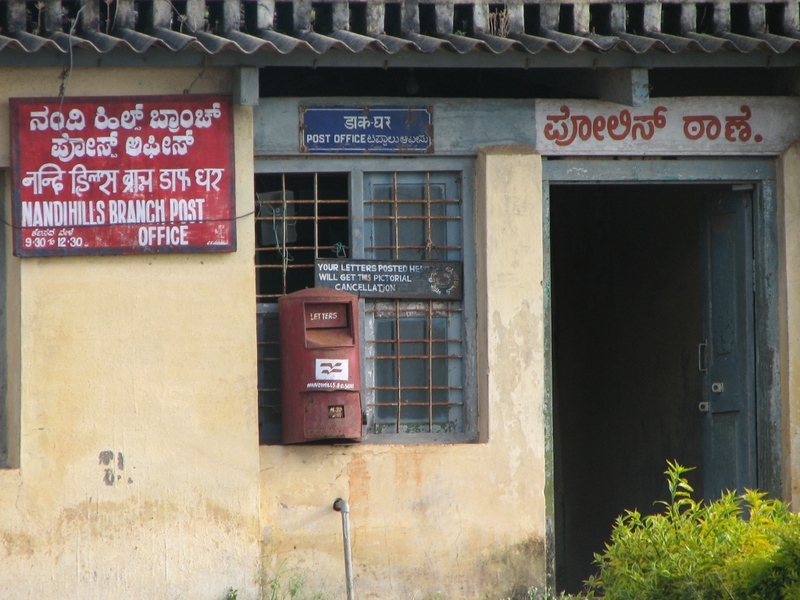 (Police Station is written only in Kannada) Did you read that message ” Your letter posted here will get this pictorial cancellation”. Do you know any other post offices which has a different kind of cancellation other than the regular date & place. 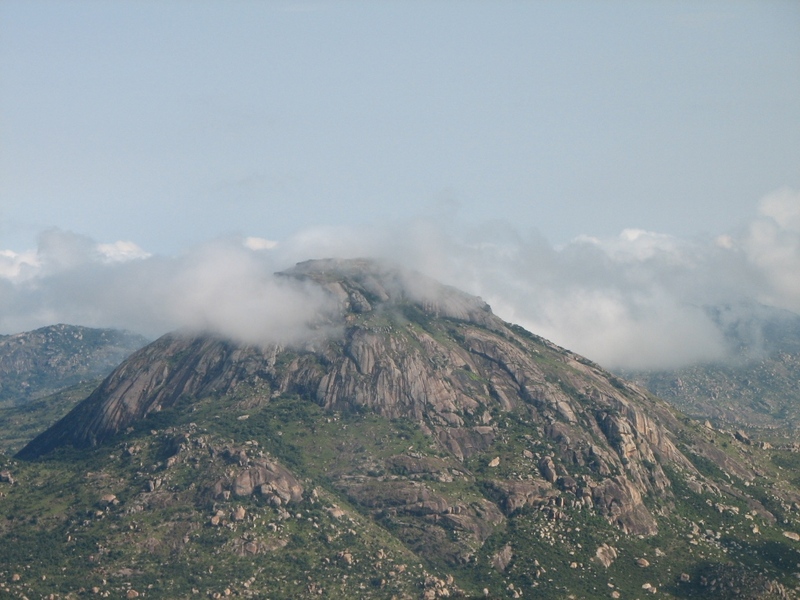 Peak of Nandi hills. 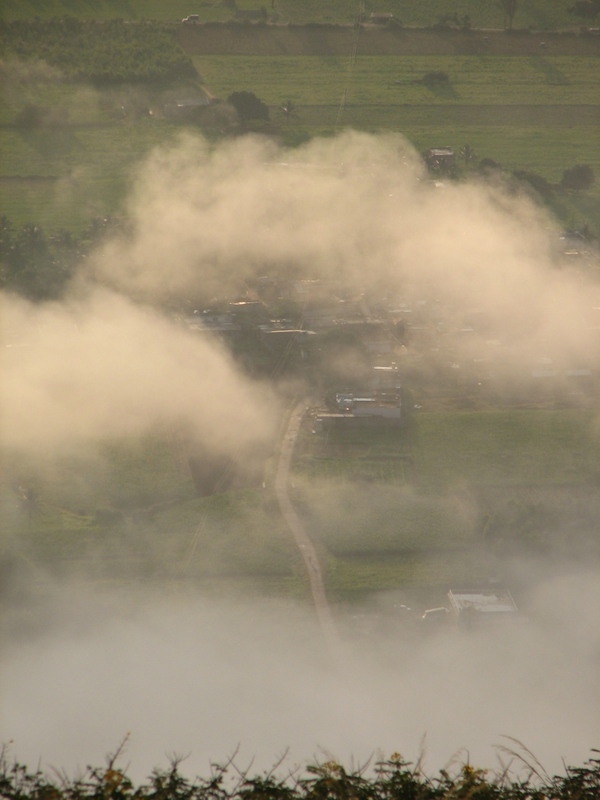 You will going through clouds when you climb the Nandhi hills early in the morning. This is how the village looks early morning. 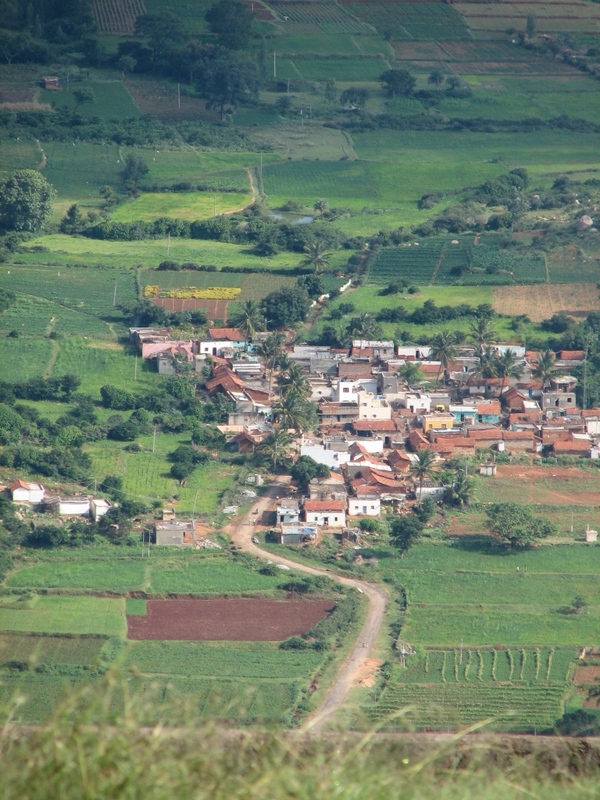 This is how the village looks after sometime (not sure if its the same village). Very nice pictures. Especially the cloud covered peak! 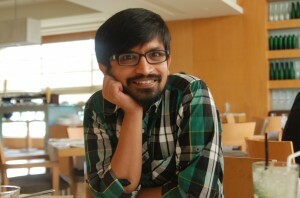 cool pics…nd ofcourse nice blog!